Project: This website was created as a way for Refine Construction to display past projects, tell potential customers about the company, and display their contact information. 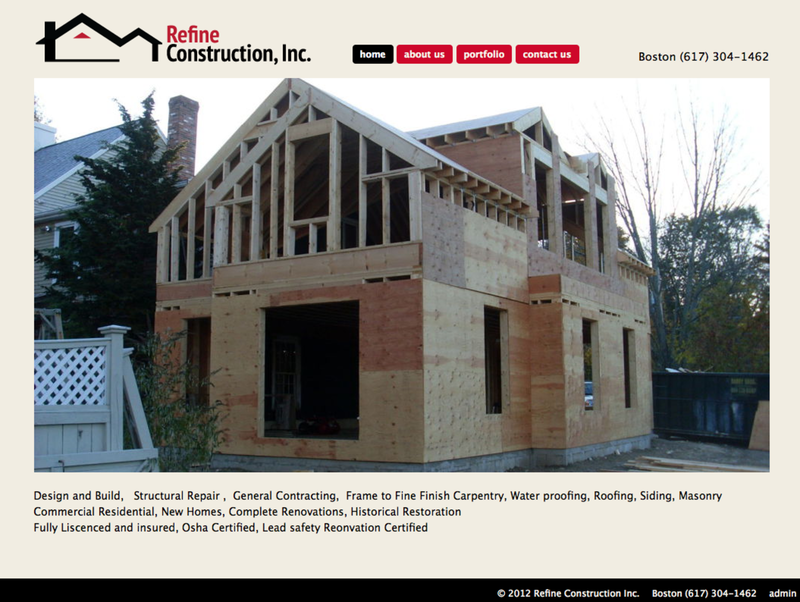 Summary: Refine serves all construction needs, including design and building, structural repair, general contracting, frame to fine finish carpentry, water proofing, roofing, siding, masonry. Whether it's commercial or residential, new homes, complete renovations, or historical restoration, Refine Construction can get the job done!